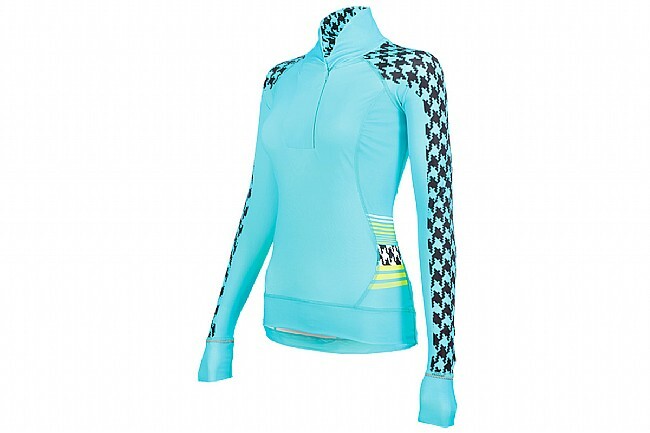 The urge to ride doesn't always fall in line with warm weather days, so layer up in the Shebeest Women's Chill Factory Jersey to stay comfy on the bike when the temperature drops. It features flatlock seam construction out of Italian-sourced fabric that is luxuriously soft and warm, and the long-cut tail means it covers you from top to bottom while you're riding in the drops. 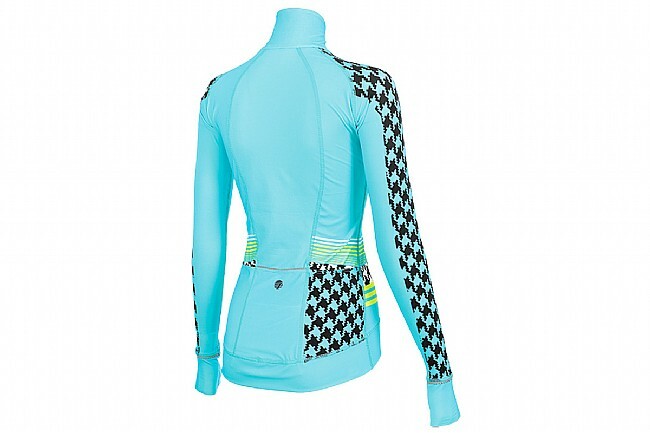 Out back, there are three moisture-resistant jersey pockets that, as with the scalloped cuffs, feature reflective trim to give you 360° visibility. Available in multiple colors. 6" zipper.